Few motorcycles are more elemental than the 2017 Harley-Davidson Sportster Iron 883. Stripped down to the basics, it’s a traditional motorcycle that is part cruiser and part retro sport bike. In the Black Denim paint scheme, the Iron 883 has little in the way of adornment—chrome is almost non-existent—and it just comes down to a classic air-cooled V-twin motor in a bare-bones chassis. Last year, Harley-Davidson updated the Iron 883’s suspension, giving it emulsion shocks and cartridge forks. It made a huge improvement in the ride, and the updated suspension returns for 2017. With the suspension firm, but not harsh, the Iron 883 is happy to make its way through the canyons with an admirable confidence. Although the handling, suspension, braking, and power aren’t up to the Sportster Roadster 1200 specs, the Iron 883 is a nice way to dip a toe into the pool of sporting cruisers—this is a bike with a modest 30 degrees of rake. Thanks to the excellent Michelin Scorcher 31 rubber, the Iron 883 can be taken to the peg feelers with full confidence. For the less aggressive riders, touching down will be rare, even with the limited lean angle (28 degrees on the left, and one degree less on the right). The reason the lean angle isn’t that important is that you don’t throw the Iron 883 around like a lightweight sport bike. Weighing in at the curb at 562 pounds, much of it carried low, the Iron 883 is all about deliberate, confident performance. The combination of a 19-inch front wheel and 16-incher in the rear isn’t the most balanced, but the widths—100 front, 150 rear—hold it all together. Initiating a turn requires a measured amount of body English, and the Iron 883 responds in a predictable manner. Once locked into the corner, the Iron 883 wants to hold its line. 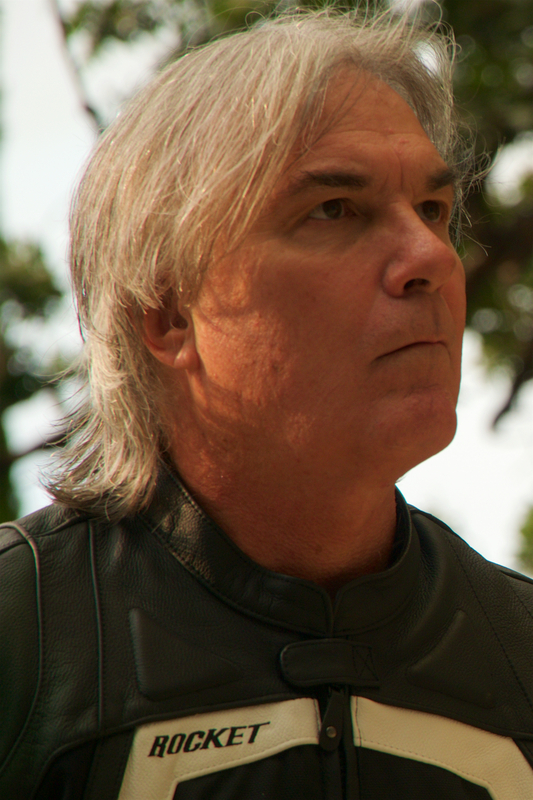 At the same time, that secure feeling inspires confidence in the bike for the rider. If you’re dealing with switchbacks, just dial in more weight transfer and you’ll be rewarded with an assertive change of direction. Rough pavement isn’t as upsetting as you might expect from the skinny 39mm forks and the shocks with just 1.6 inches of rear wheel travel. Harley-Davidson got the damping and springing right—a good thing, as the only adjustment is rear spring preload. As long as you don’t exceed the leeway provided by the suspension—something that’s harder to do than you might expect—the Iron 883 will complete that corner exactly the way you envisioned. Those who consider the Harley-Davidson Sportster Iron 883 to be a strict cruiser are missing half the fun, as it’s a great ride through the canyons. Of course, you don’t want to forget that it has a dual mission—taking care of business in-town. 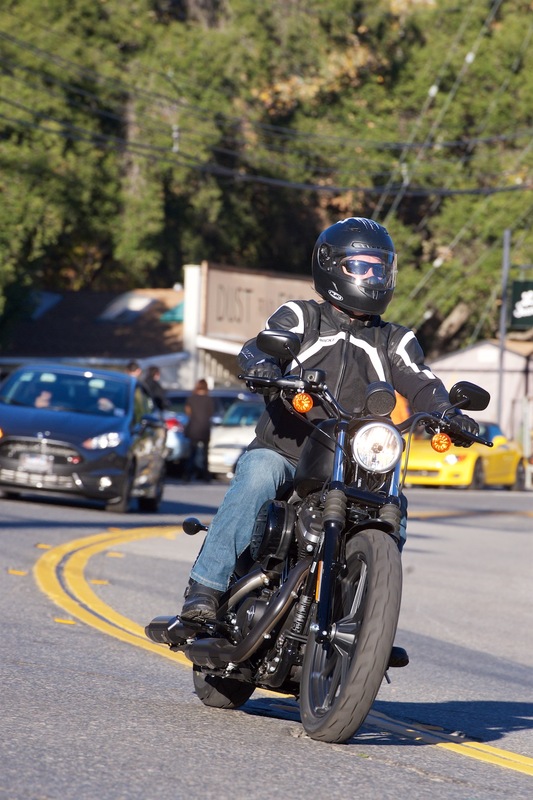 Narrow and torquey, the Iron 883 is great fun in busy urban environments. It’s more than up to lane splitting, whether legal or not, and it pulls away smartly from cage-bound competitors when the light turns green. The single brake that is just adequate when sport riding is more than up to the task on city streets—remember, there’s plenty of engine compression braking available. If you’re just taking it easy, feel free to rely on the 260mm rear disc for most of the braking. ABS is optional. If you’re an experienced rider and avoid the rain, you can easily get by without it. The braking is fully linear, and the Harley-Davidson branded Michelins have great grip. Novices and riders who venture out in the wet should definitely consider the $795 ABS option. The suspension works shockingly well on beat-up urban streets, until you exceed the rear shocks’ travel. The action of the emulsion shocks is excellent, but when you hit something that overwhelms them—a sizeable pothole, for example—then be prepared for a hard hit. Sometimes, I would expect the shocks to bottom out and nothing happened—other times the big jolt came. The forks, thin as they may be, surpass the performance of the shocks—more than twice the travel helps—so you likely won’t notice them. The ergonomics are more compact than you might anticipate. The mid-mount foot controls are a bit closer to the seat than my 32-inch inseam might prefer, though the relatively narrow bars sit a comfortable reach away. Interestingly, the Iron 883 feels tight when first getting on the bike each ride, but the cramped feeling quickly goes away. You’re left with the feeling that you’re dominating this fairly small motorcycle, even though it’s no lightweight. As a subtle but effective attention-getting device in public areas, the Harley-Davidson Sportster Iron 883 does just fine. The dual shorty exhausts have a throaty sound that exceeds the Evolution motor’s displacement, and the rubber-mounted engine delivers sensible tactile feedback. The bobbed fenders, side-mount license plate, comfortable tuck-and-roll solo seat, machined highlights, and seemingly massive engine all do their jobs to instill pride of ownership. The Black Denim looks good it its matte glory, though keeping it streak-free after cleaning isn’t easy—don’t look at our photos too closely. Although the only updates for 2017 to the Harley-Davidson Sportster Iron 883 are a new battery tender harness and the Hard Candy Hot Rod Red Flake color option, the sporting cruiser remains an attractive choice in the sub-$10k cruiser marketplace. Get An Insurance Quote For The 2017 Harley-Davidson Sporster Iron 883 – Save Up To 50% with Allstate!